The average tourist stays in Ljubljana for a total of 1.8 days, which means approximately four or five full meals, so it's important to make the most of them. If you're anything like us when we travel, sampling the local cuisine is a high priority, and there are of course many excellent traditional Slovene restaurants in town. 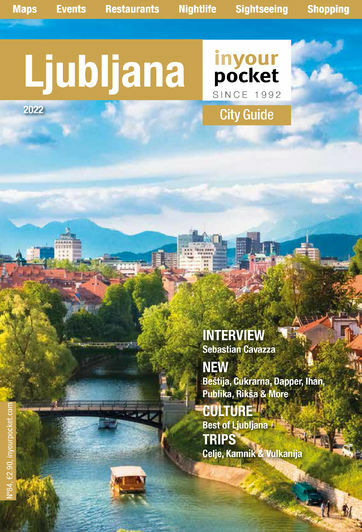 The Municipality and the Ljubljana Tourist Information Centre have conveniently developed the Taste Ljubljana initiative, which promotes typical dishes from the Ljubljana region. As with most popular tourist destinations, there are a handful of unscrupulous tourist traps that are best avoided. We won't name any names, but savvy travellers will be able to spot the usual telltale signs. When we first moved to the city years ago, one of our biggest complaints was the dearth of selection when it came to restaurants. However, this is thankfully no longer the case, as Ljubljana's culinary scene has truly taken off in recent years and now offers enough diversity to keep all but the most finicky diners happy. There are now multiple options for Asian, Indian and even Brazilian cuisine, while traditional Balkan food from Serbia and Bosnia is a must-try if you've never been further south (unless of course you're a vegetarian). Slovenia doesn't currently have any Michelin-starred establishments, but there are quite a few upscale restaurants in Ljubljana that can hold their own against international competition from much larger cities, and even at the more expensive restaurants your euros will still go a long way, especially at lunchtime when nearly every eatery in town offers daily multi-course set lunches, or kosilo, for between €5-12. Dober tek!